Location: Luxembourg is a country in Western Europe. It shares borders with France, Germany and Belgium. The Luxembourg flag, with three horizontal stripes (red, white and blue), was first used in the 19th century and was officially adopted in 1972. 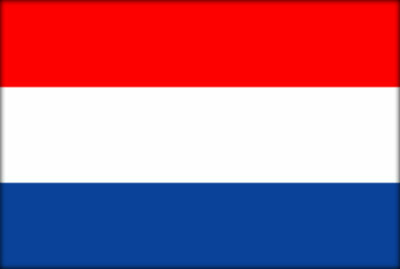 It is almost identical to the flag of the Netherlands. Luxembourg is a landlocked country – it doesn’t have any coastline. Luxembourg was occupied by German forces during World War 2. It is one of Europe’s smallest countries. Three rivers, the River Moselle, Sauer and Our, form the Luxembourg – Germany border. Luxembourg is one of the Benelux countries (along with Belgium and the Netherlands). People who come from Luxembourg are known as Luxembourgers or Lexembourgious (pronounced Lux-em-bourg-wah). There is only one university in the country – the University of Luxembourg. Luxembourg is a very modern country. Its population owns the highest percentage of mobile phones per person and it has traditionally had the highest GDP of any country in the world. Radio-Television-Luxembourg (or RTL) is one of the largest TV and radio production groups in Europe.